From the people that brought us the the Sigma, Gold Rush, and Magnate concepts by way of its new Zeus Twelve automotive division comes a new concept that follows in the outlandish footsteps of its other concept offerings. Gray Design is back, and as part of its lauded return to the headlines, the company announced plans to build a new concept, aptly called the Nouvair, which is being touted as carrying a huge design influence from the Art Nouveau movement. Nothing is imminent as far as official details are concerned, but Gray Design did release a handful of design studies on what it wants the Nouvair Concept to look like. And just like it’s past creations, there are definitely a lot of curves on its streamlined, retro-looking body. The large rear wheel arches and the arrow-like rear evokes a classic aura to the concept that matches well with the modern-looking vented hood and muscular front profile. The grille needs some work, though, as does the mustache-looking intakes below it. No word on performance numbers, either, but we expect it to carry a powertrain akin to the 2.0-liter, Caterham Duratec in-line-four engine the Zeus Twelve Sigma had under its hood. This four pot is capable of producing 335 horsepower at 7,500 rpm and is good enough to hit a top speed of 180 mph. It has the look of a supercar and it certainly performs like one too, if it’s reported Caterham engine is really going to be planted under its hood. It’s still the least powerful of the three concepts Zeus Twelve introduced, but hey, you take all that you can get any way you can get it, right? 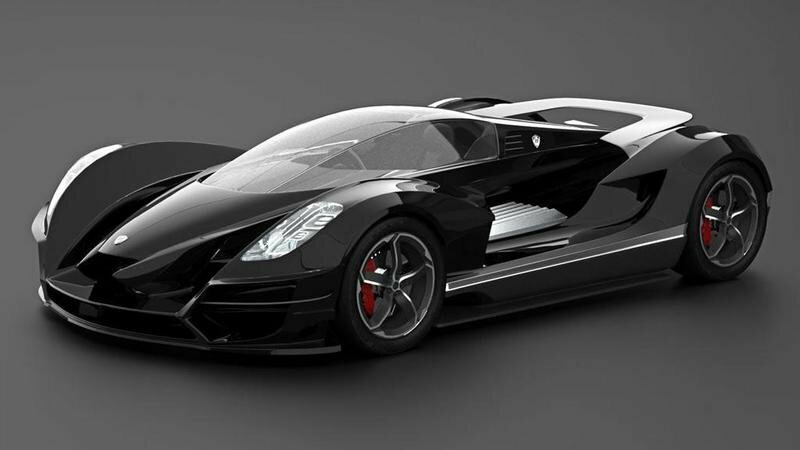 This is the Zeus Twelve Sigma Concept and its body is built from carbon fiber, which is saying a lot considering that the material being used isn’t exactly the kind that you can find anywhere. Zeus Twelve emphasized building the a lightweight machine for the Sigma and the car’s overall design certainly speaks to its supercar appeal. Under its hood, the Sigma comes with a 2.0-liter Caterham Duratec Straight 4 engine that produces 335 horsepower at 7,500 rpm, good enough to hit a top speed of 180 mph.